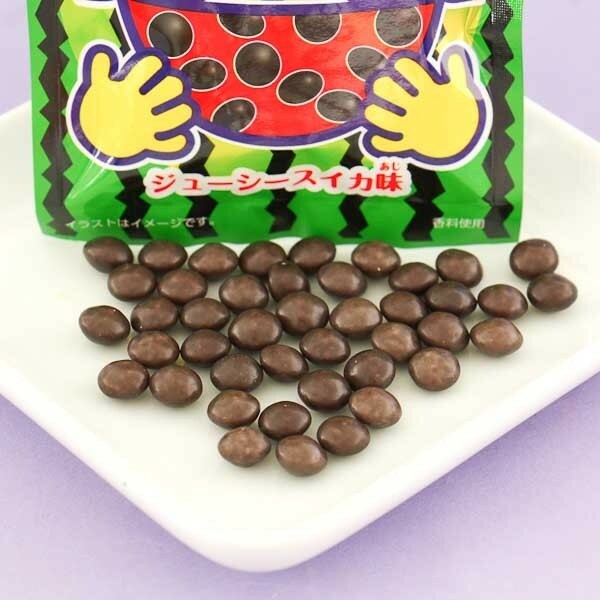 Watermelon is a popular summer fruit in Japan and these funny candies from Coris look just like watermelon seeds! 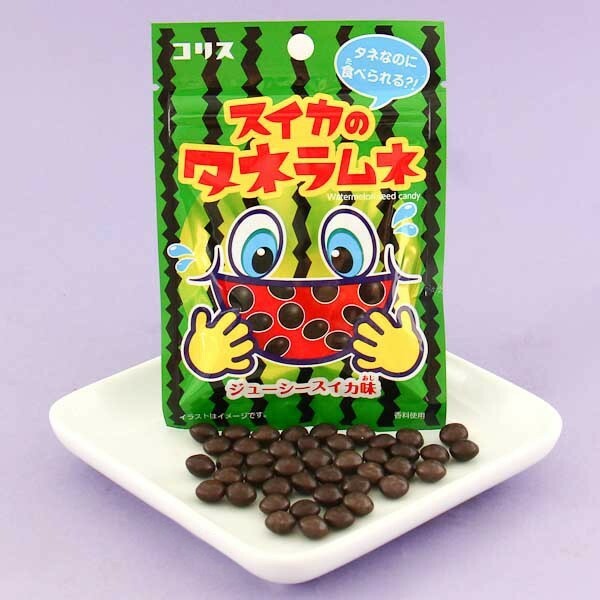 The candies have a sweet watermelon Ramune soda taste and are crunchy but not too hard on the teeth. Outside the candy is black and hard - just like a watermelon seed. They come in the cute resaleable packet so you don't need to eat all in one go. Enjoy with your friends and family or use even as a decoration on sweets and foods!